With more natural products out there than ever, what are your standards for picking out clean, healthy products for Follain’s shelves? 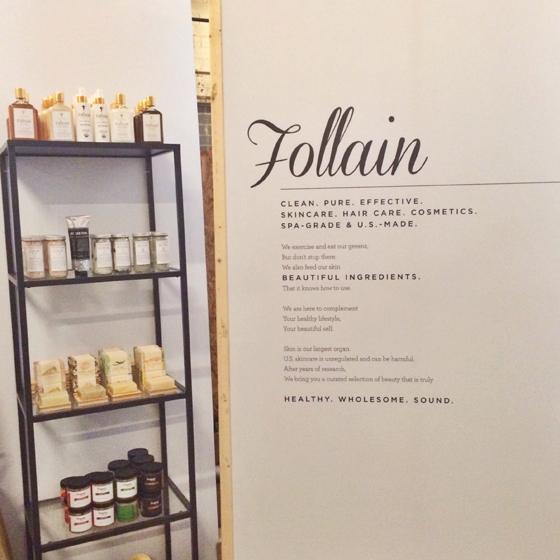 Follain is Gaelic for “Healthy, Wholesome and Sound.” These three pillars cement the foundation of our unique three-part product evaluation. When we vet a product, part I starts with a set of questions: Is it safe? Will it contribute to our health? What are the ingredients used? How are the ingredients sourced? Are all the ingredients necessary and transparent? We use the term “safe” here as opposed to “natural” or “organic” because we want everyone to understand that the cosmetic and skincare industry is unregulated in the USA, and there are no legal definitions of “natural” or “organic” for cosmetics. Safety is the core of Follain, and we strive to be health protective in every way. We do the homework so you don’t have to. Part II consists of a performance test, and comes down to formulation. It’s one thing to pass the safety screen, but it’s another to “wow” us! Part III focuses on the companies themselves. Who are the people behind the brand? Is it U.S.-made? Where else is this product sold? What are the company goals? 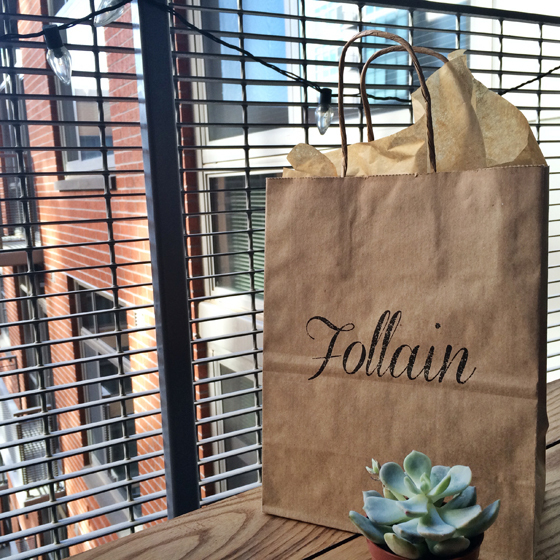 We love that Follain offers reusable containers and refills to cut down on plastic waste! Is this popular among customers, and do you think it’s inspiring behavior change? Our refillable soap program is very popular and it is often the way people find Follain! We owe the program’s popularity to our supportive neighborhoods, our bottles in businesses and restaurants, and a lot of gift giving. We do think the program is inspiring change. It also provides us with an opportunity to build our customer relationships with each refill. The refillable soap program was inspired by data, too: there are over 2 million pounds of plastic soap bottles thrown away in the U.S. annually. For each of you: what’s your “holy grail” product – the one you just can’t live without? Tara: The Blue Cocoon by May Lindstrom – based in blue tansy flower oil, helichrysum oil (known as Immortelle oil), frankincense oil and myrrh oil, this wonder balm is known for its healing, restoring and calming properties. Just a pea-sized amount will deal with anything you’ve got going on: thirsty skin, oily skin, acne, sunburn, razor burn…one thing’s for sure, Tara’s not afraid to express her love for the Blue Cocoon! Holly: Soapwalla Deodorant – a formula that actually works! Contains a white French clay and baking soda complex to keep you as dry as possible, coupled with powerful tea tree and lavender to inhibit the bacteria that causes your perspiration to smell. Out of all the products in the shop, we spent the most time educating people about Soapwalla Deodorant because it serves as a safe alternative to any conventional antiperspirant. The active ingredients in conventional antiperspirants are aluminum compounds (aluminum zirconium and aluminum chloride), in addition to several inactive ingredients like parabens. The latter are all internationally recognized breast cancer triggers, endocrine disruptors and carcinogens. Aluminum zirconium bio-accumulates in breast tissue and in the lymphatic system, potentially causing cells to mutate and become cancerous. Holly’s public health roots get exposed if you ask her about our deodorant! Ashley: Tesoro Mediterranean Blend by La Bella Figura – smells divine! 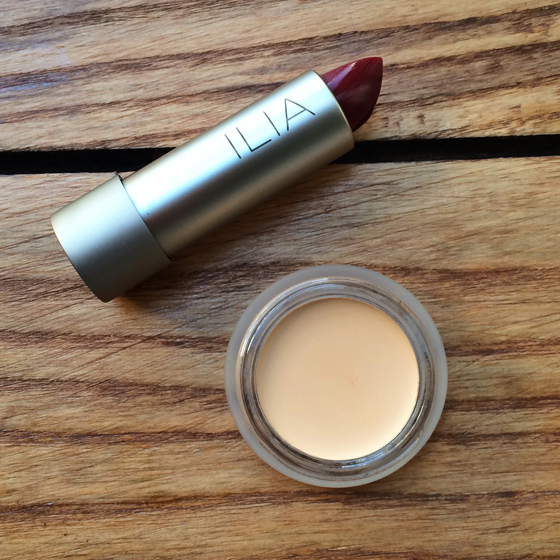 The blend is truly lightweight and fantastic for oily and problematic skin. Argan based with a delicious blend of citrus fruit oils, the oil molecules are very tiny and easily penetrate the skin, which in turn tricks the skin into thinking it has already produced its protective oil. One of the most popular face oils we carry, probably due to Ashley’s love for it! Do you have any tried and true DIY beauty recipes that you use frequently? Yogurt Facial: Spread raw and unprocessed yogurt on the face and neck. Lay back on a towel as it can get messy. Wait 10-15 mins while the active enzymes clean your face of dead skin and balance your pH. The mask is also great for cooling the skin, and post sun exposure. Raw Honey and Cinnamon Spot Treatment: Mix a small amount of raw unprocessed honey and cinnamon together. With a q-tip, apply to spot. Let it sit for however much time you have, or over night if you choose! Raw honey and cinnamon are both anti-bacterial, anti microbial, anti-fungal and excellent anti-inflammatories. The enzymes in the raw honey go to work on the bacteria without drying the skin and the cinnamon gives it that extra kick. Activated Charcoal Mouth Wash + Teeth Whitener: One smile from Tara and you’ll know this works. The secret to pearly whites is two capsules of activated charcoal and ¼ cup of water. Swish around your mouth for 5 minutes once or twice a day. Thank Tara later! There is so much excitement and energy in the healthy, natural products space right now. How do you envision the future of the beauty industry? The beauty industry is changing rapidly. The change is coming from consumers who are craving the ability to make informed decisions about their health, and the companies that provide consumers with the tools and knowledge to do so, will push the safe cosmetics movement forward. We aim to be one of the leaders in this push. Can you give us a sneak peek into what’s coming next for Follain – be it new products hitting the shelves, or plans for expansion? In addition to our newly launched e-commerce site, look out for new store sections coming this fall. Lucky you having pop-up natural beauty stores in the right place at the right time ;)! I love the sound of the Honey & Cinnamon spot treatment! Hey Amber, make sure you don’t use the regular cinnamon from grocery stores as it might aggravate the skin and cause more breakouts instead. That was what happened to me! I can definitely sympathize with the elusive state of green beauty, I go a little crazy when I see everything in person too! 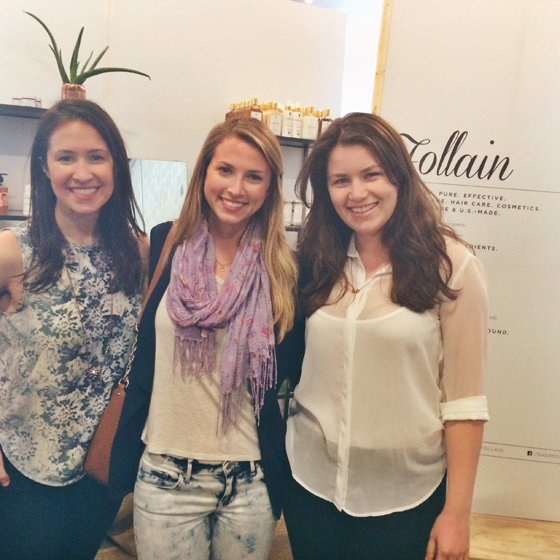 Loved reading more about Follian and their process for choosing products! Great news about their online store but I hope I can stop by the boutique someday soon Great interview!